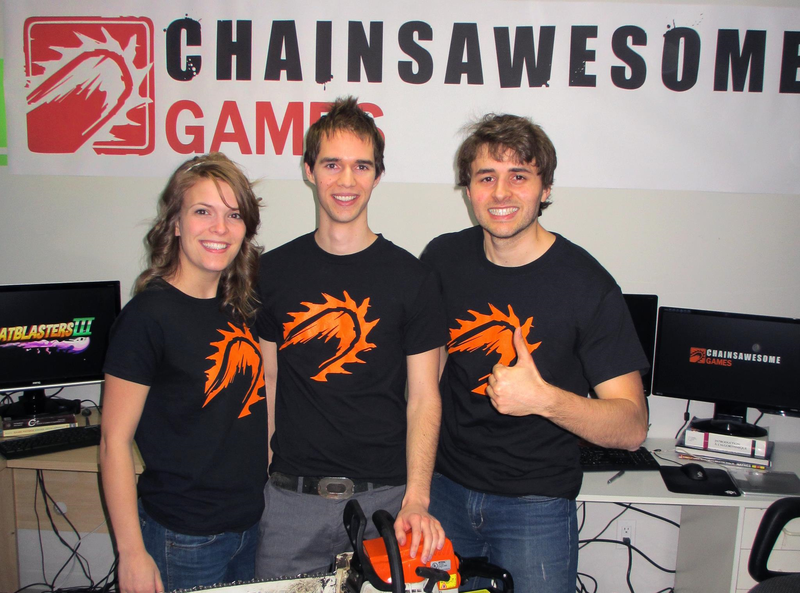 Chainsawesome Games is an independent game development studio founded in Quebec City in 2012 by Jean-Simon Otis, David Paré and Jade Bélanger. The three co-founders had previous experience in the game industry and decided to go their own way to create projects that were more aligned with their passion. The team specializes in creating PC and console games that are easy to get into and instantly fun. Their very first title, Beat Blaster III was a unique mix of rhythm and platforming and earned them the award for Best Audio Design at the Intel Level Up contest in 2013. 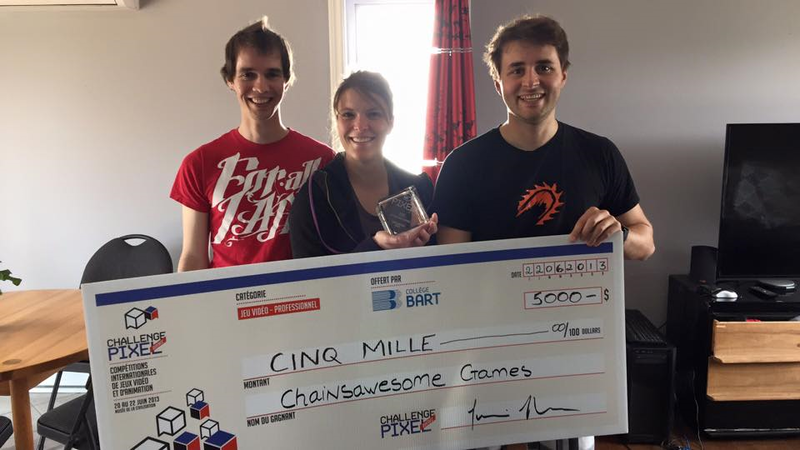 Their prototype developed in 48 hours at the 2013 Pixel Challenge earned the first prize of the competition. This early demo then gave birth to Knight Squad, their second title. 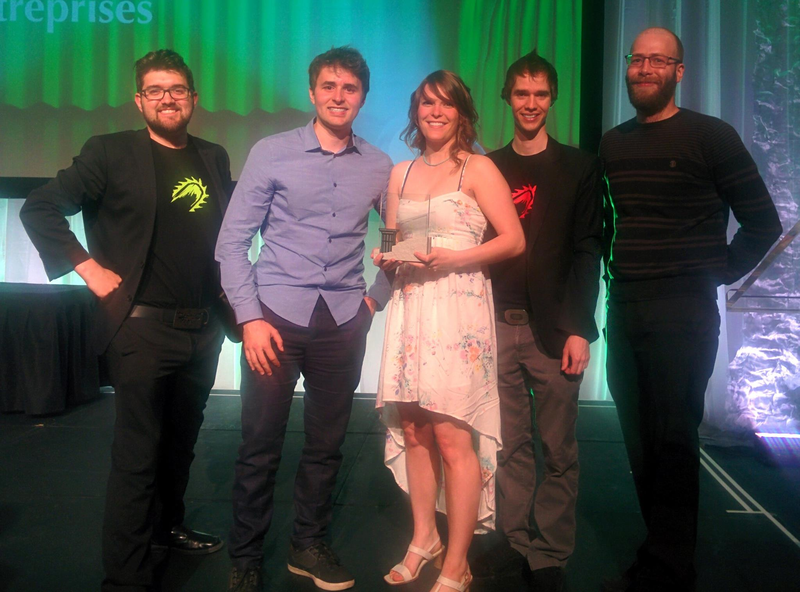 Thanks to a solid business plan for this project, Chainsawesome Games won the grand prize of the Catapulte contest presented by Ubisoft Quebec in 2015 and the studio has received $50,000 for the marketing of their game. Knight Squad was then released in fall of 2015 and has been downloaded on the Xbox One by 1.7 million users through an exclusive partnership with Microsoft. 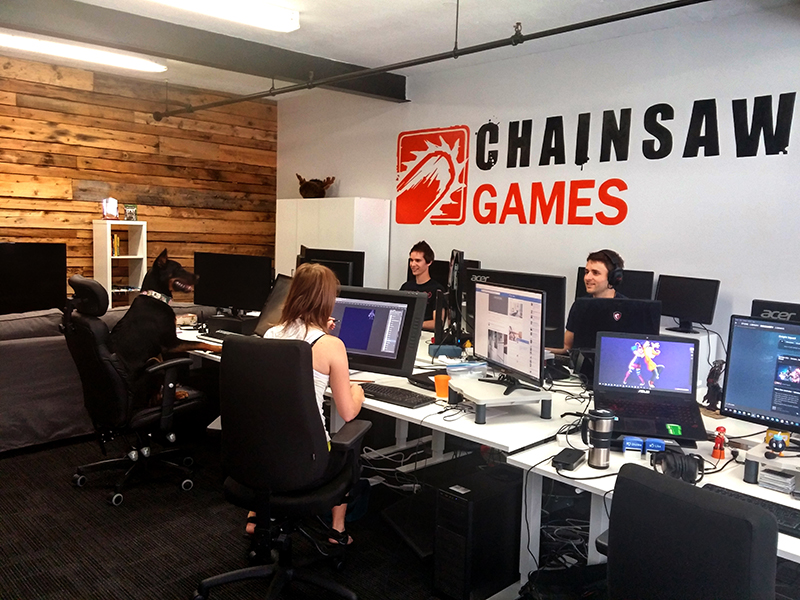 The team at Chainsawesome Games is now working on their next game. This third title is benefiting from a grant of the Canadian Media Fund and is perfectly in sync with the team’s expertise. To make this project possible, the studio has doubled its staff in 2016 by hiring three more members and moved its installations to a bigger office space. There are currently no trailers available for Chainsawesome Games. Check back later for more or contact us for specific requests! There are far more images available for Chainsawesome Games, but these are the ones we felt would be most useful to you. If you have specific requests, please do contact us!